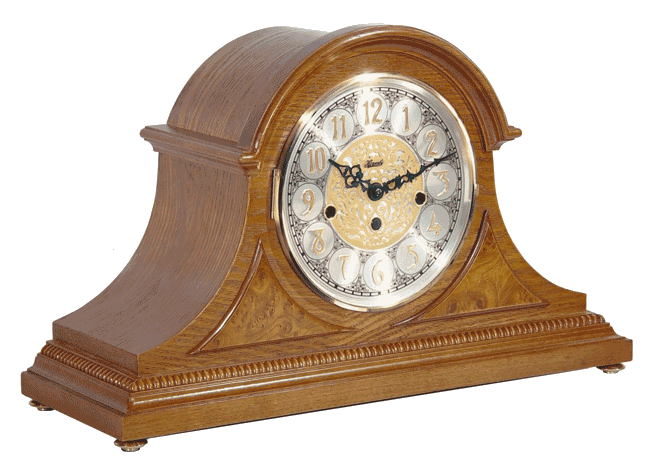 The Amelia Classic Oak Hermle Mantel Clock is a perfect addition to any of our featured fireplaces. A beautiful addition to your fireplace mantle, this piece is crafted with brass feet and raised burl veneer panels designed with a beaded molding across the bottom. 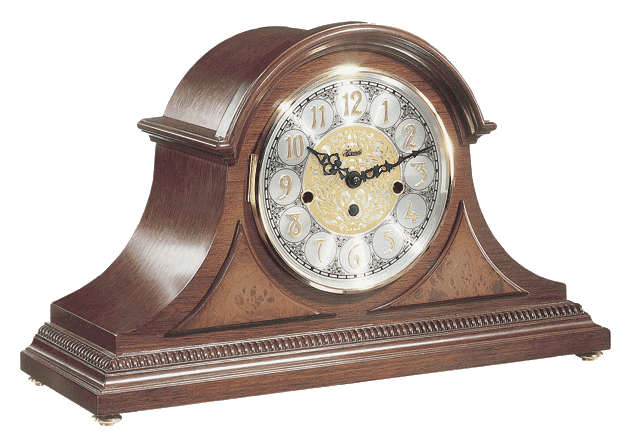 A Classic Oak or Elegant Cherry finish brings out the clock face, framing it with a natural wooden glow. The mechanical brass 8-day key wound movement plays a 4/4 Westminster chime. Mechanical movement inside the clock insures precision timing with minimal set up and maintenance. Lightweight and easily portable, this piece will fit on any mantle or shelf with at least 7'' of depth clearance.